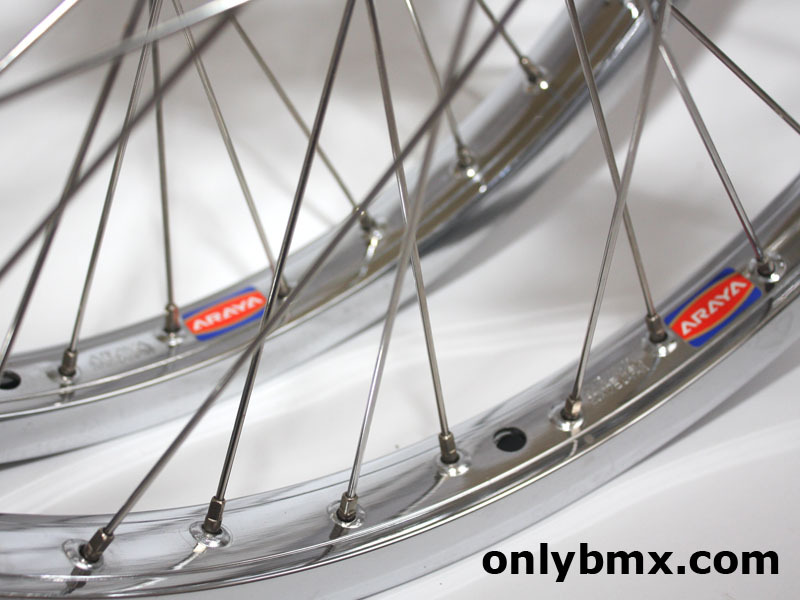 Set of 20″ old school BMX wheels. 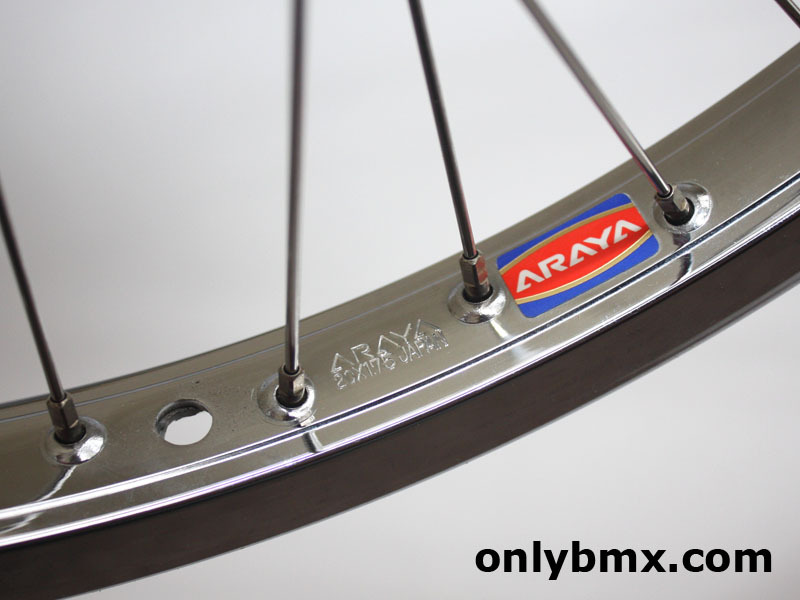 These were built up with NOS Suzue low flange sealed bearing hubs and chrome Araya 7X rims. 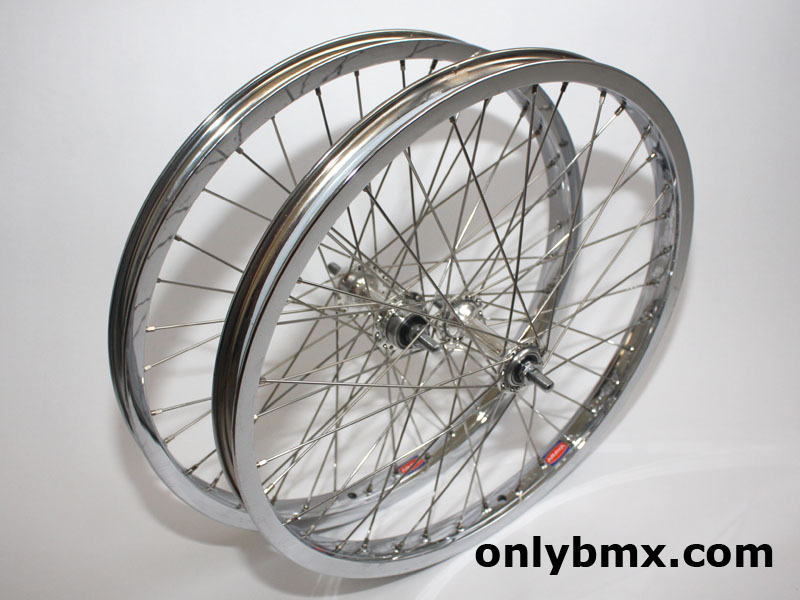 These are 36 hole 20 x 1.75 rims. 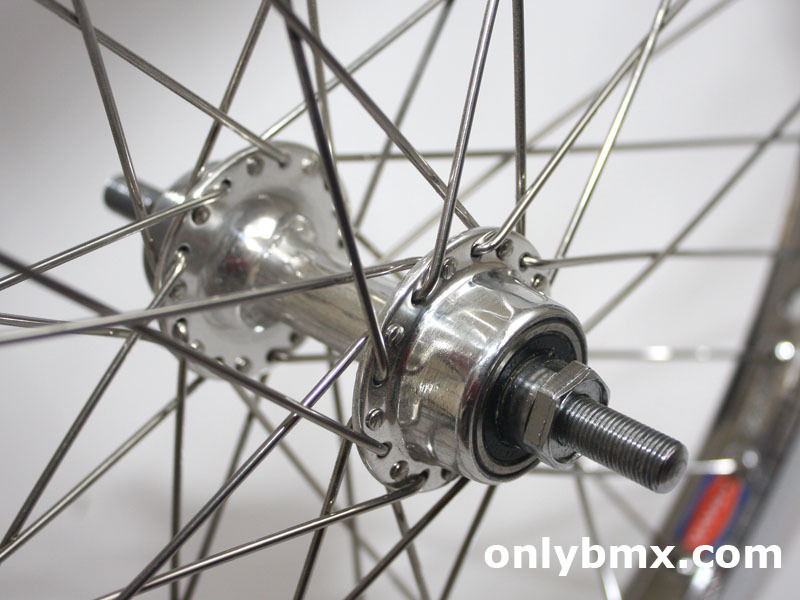 Not sure if the rims have been rechromed. 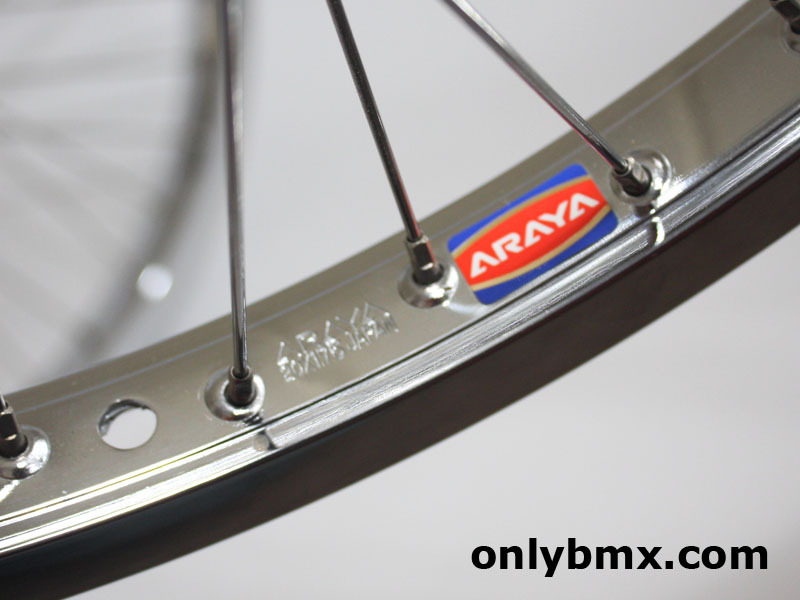 There is no pitting although one area where the chrome is very thin on the braking surface. See the last photo. 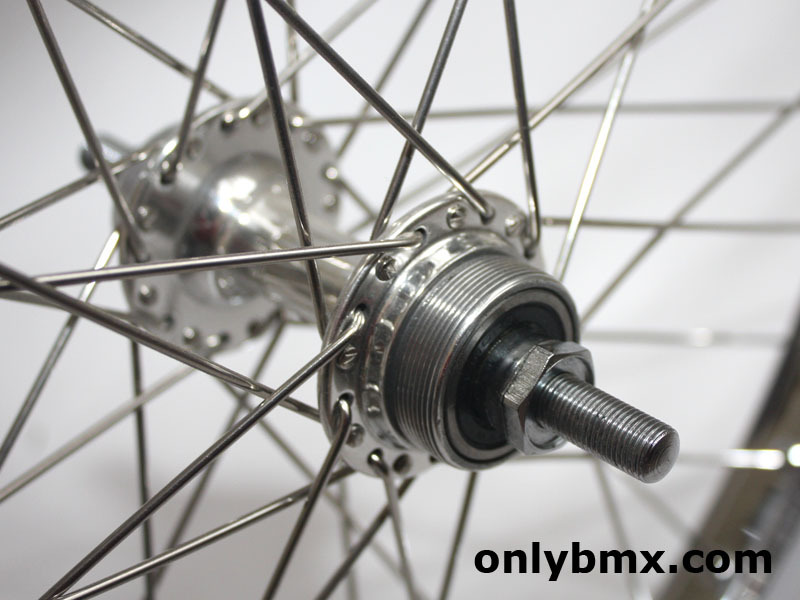 The rear hub takes the standard screw on type freewheel on one side and is not a flip flop type hub. 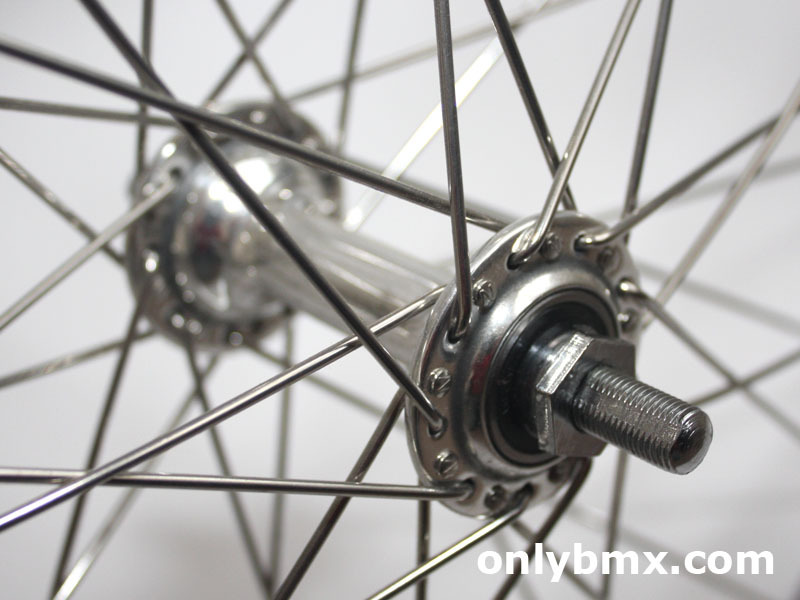 Sorry, they were missing the nuts and washers and I don’t have the correct ones for them. 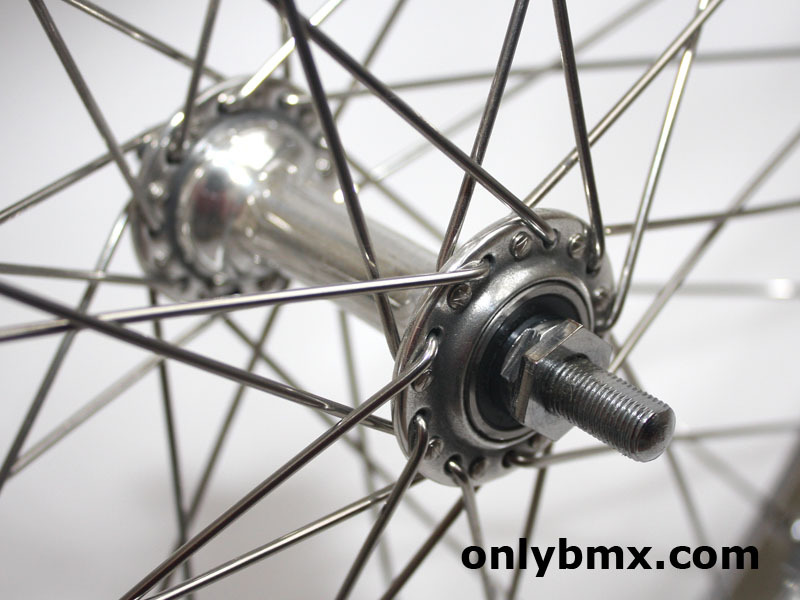 Add these on to any early 1980s old school BMX race bike for an era correct build, if that’s your thing.